In Long Beach, this beautiful weekend is slated to become the backdrop for some of the greatest street racing in the country. 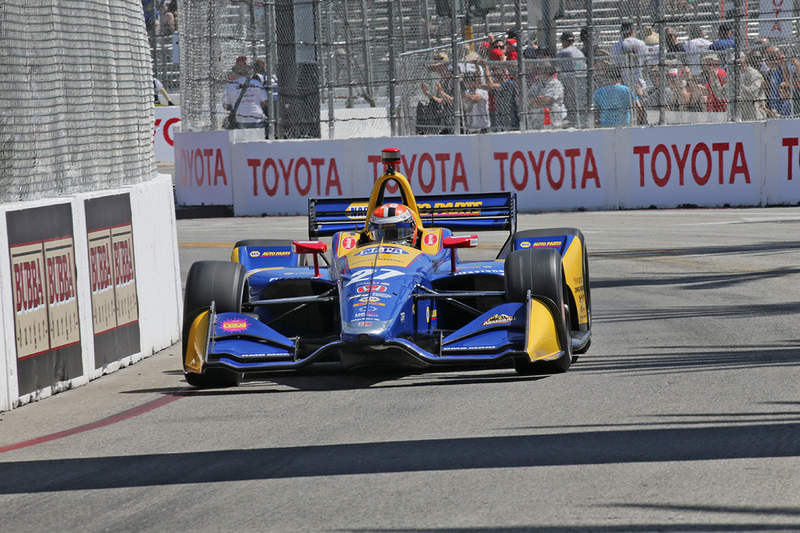 Established in 1975, the Grand Prix of Long Beach has become our city’s biggest event of the year; and beginning today, this momentous event will hit Long Beach full force. For tourists and locals alike, here is our survival guide for Grand Prix weekend. Although the event officially begins at 7am on Friday, there are several pre-prix events going on in the area for everyone to enjoy. Today, Thunder Thursday kicks off at the Pike Outlets. This event is free, and features stunt motorcycles, live music, and a classic car show that will be sure to bring fun for the whole family. And for the 21+ visitors, there is a beer garden sponsored by Auld Dubliner to enjoy. Click here for the full list of Special events, and here for the Friday-Sunday race schedules. Although the weekday events are free to the public, starting on Friday, the events at the track require admission tickets. Tickets begin at $33 (Friday only), and an all-weekend pass is $95 for general admission. For more information and ticket pricing, visit the Grand Prix website. Looking for more to do in the area on your downtime? Visit historic Pine Avenue and take a stroll around the Promenade; have a drink and hang out at Elinor, or have a bite to eat at any of the fantastic restaurants along the street! Traffic closures begin today, so be sure to check for impacts to your daily commute for the rest of the week. Parking passes through the event cost $15 per day, and can be purchased here along with your admission tickets. However, if you don’t want to deal with the congestion in the area, we advise that you park further away (for free) and take Long Beach Transit at $1.25 per ride, for a cheaper solution (but be sure to check for any route detours before setting out this weekend)! The weather this weekend is due to be mostly sunny, with highs around 70°F/57°C. Luckily there won’t be any rain this weekend, so whether you’re interested in participating in the Grand Prix events or not, it looks like it’s going to be a beautiful weekend to be outside. NOT INTO THE GRAND PRIX? For those with no interest in street racing, there is still plenty to do this weekend away from the track. The Beach – Always a Long Beach favorite, you can escape the Grand Prix events by taking a walk on the beach, or even go for a swim! In Belmont Shore, you can take a kayak and see the Naples Canals for only $10 per hour. Art Museums – Always worth the visit, Long Beach’s art galleries and museums are a great way to spend the day. For contemporary art, the In the Clouds Art Gallery is open Thursday-Saturday until 9pm, and until 6pm on Tuesday, Wednesday, and Sunday. Admission to the gallery is free, and hosts a rotating roster of artists and exhibitions. Parks – Did you know Long Beach was home to 107 parks? Spend a day at one (or a few) of the city’s lovely parks, they’re sure not to disappoint. We recommend El Dorado Park, which boasts an impressive 105-acre nature center with serene walking trails and wildlife. Girls Go Vinyl - Did you know that Saturday is International Record Store Day? If you love vinyl as much as we do, come and celebrate with Lindsay, Lissy Suede, and Hell Cat! There will also be alcoholic selections offered, which are hand-picked from local, independent, or woman-owned breweries. The event begins at 4:30pm; we hope to see you there!